Cosmo Casino is a new online casino from the collection of Casino Rewards gaming sites. This casino features Microgaming software that can be downloaded directly onto a device. Players can also instantly play at Cosmo Casino through its internet browser format. The casino has over 500 games in its selection, including numerous progressive jackpots. Players who are fans of the Casino Rewards group of sites now have another option to try out. Cosmo Casino was launched in 2016 and is a new featured online casino for players in Europe. The casino has hundreds of games and a unique welcome bonus to get things started the right way. Player support and accessibility are both strong points for this online casino, in addition to the high standard of secure and fair gameplay. Cosmo Casino can be played on a personal computer or through any modern mobile device that supports touchscreen capability. 150 credits for a chance to become a jackpot millionaire at Cosmo Casino. The new player bonus at Cosmo Casino differs what the usual online casino offers. Players who sign up with a new account and make at least the minimum deposit of 10£/€/$ will receive the bonus. Essentially, this bonus gives the player 150 credits to use at the casino on various games. The player can use the credits to play slots, tables games, or even jackpots. The credit bonus is a great way to get accustomed to Cosmo Casino and possibly earn some winnings. However, players will need to wager at least 60 times the original amount before withdrawing payouts. All player should read and fully understand the casino's terms and conditions. The software at Cosmo Casino comes from Microgaming. This is the leading developer's “Viper” software which is exclusively used at Casino Rewards sites. The software features the latest Microgaming titles and is updated regularly. Therefore, Cosmo Casino has a game selection that currently stands at over 550 different titles. Games include online slots, which are a favorite among online casino players. The slots vary in format, from classic three-reel style slots to the more advanced slot games that have five reels and various paylines. Despite the variety in the slots collection, each title has similar controls that make it easy to learn how to play. Online slots at Cosmo Casino are packed with extra features to make gameplay more interesting. More casino games are made available to supplement the massive slots collection and increase variety. 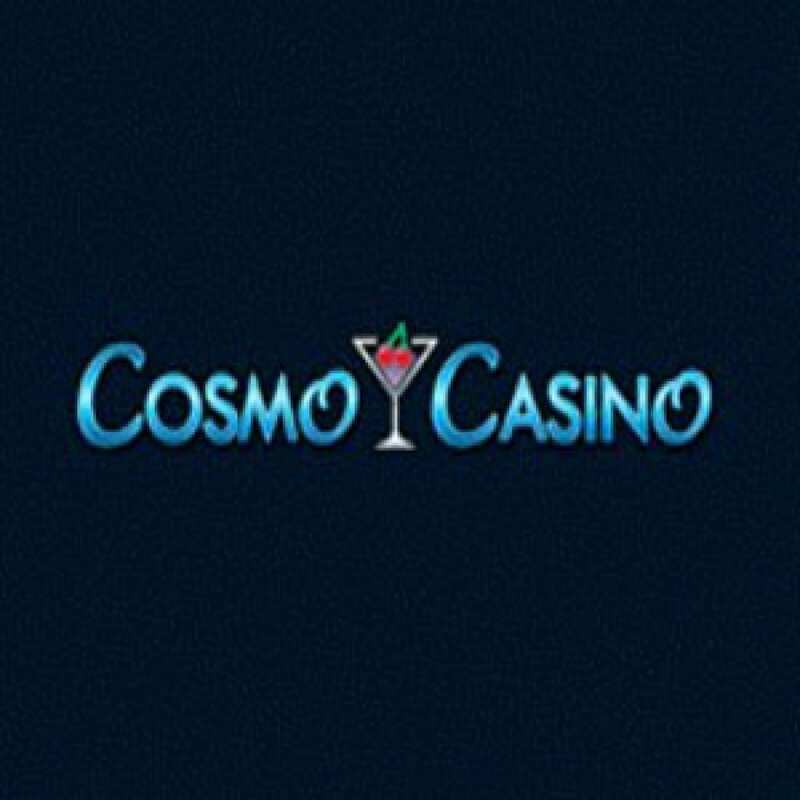 Cosmo Casino plays hosts to numerous table games such as roulette, blackjack, and poker. The games have great betting options so that it's possible for all players to participate. If a player is new to a game, the online casino offers guides on how to get started and understand the rules to most games. In addition, players will typically have the opportunity to play each game in a free demo mode before actually betting real money. Cosmo Casino games can be played through the downloaded software or right from a supported browser that's connected to the internet. Another big part of this online casino is the selection of progressive jackpots. Each jackpot is connected to the expansive Microgaming casino network and grows based on how many players place bets. The progressive jackpots, such as Mega Moolah, easily reach up to seven figures and have created a handful of millionaires over the years. Although the odds of winning the top amount are steep, each jackpot offers a great gaming experience and shows off the quality of what's available at Cosmo Casino. The security of online casinos is an important part of the player experience, considering how many threats can lurk in cyberspace. Cosmo Casino immediately displays its trustworthiness in the Malta Gaming Authority seal on the site. The Malta Gaming Authority handles all Casino Rewards partner sites and regulates each online casino to ensure a safe environment for players. To protect the payment details from transactions, Cosmo Casino uses 128-bit encryption software that guards sensitive information as it is transferred. All games at this online casino run through secure, remote servers to prevent tampering. Each player who signs up at Cosmo Casino can expect a high level of fairness. The casino maintains its standards by having all games reviewed by third-party testing groups. Tests monitor the consistency of every casino game and determine the payout percentage through an audit. The results of testing are reported to the casino, which then displays the information in reports for players. Cosmo Casino has an average payout percentage of 97 percent based on its entire game selection. Games at this online casino are programmed with random number generators to maintain truly fair odds of winning. Responsible gambling is a prominent issue and Cosmo Casino offers tools and resources to combat the problem. Each player has the ability to determine deposit limits on an account, or impose cooldown periods before the next gameplay session. Self-exclusion can also be used through this casino and locks a player account for extended time. If players want help for an excessive gambling issue, Cosmo Casino provides links to organizations that specializes in assisting at-risk individuals. This casino is strictly for players at least 18 years of age and older, or the legal age in the player's region. A verification process by Cosmo Casino prevents underage gambling. Customer service is just as important in the online realm as it is in other forms of retail. Cosmo Casino offers support services to players all day and every day of the week. The live chat feature is a popular choice for having urgent matters resolved quickly. Players can typically have a solution to an issue in just a few minutes. All other general inquires may be sent to the online casino through its dedicated email address. The usual time for getting a response by email is 2 hours from receipt. No telephone number is listed on the Cosmo Casino site. Cosmo Casino offers the “standard fare” for banking so that players can deposit and withdraw funds easily. The online casino accepts deposit payment by debit card as long as Visa or MasterCard is the provide. Neteller and Skrill can be used if the player prefers to use a secure online wallet. Deposits are completed instantly and the withdrawal time depends on what banking option is used. The player can make special banking requests that the casino may accommodate, but processing fees and timeframes are unknown. Players are advised to contact support to learn more about specific options. 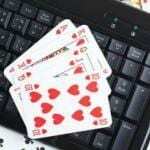 As technology for online casinos gets better, it becomes a bigger factor in when and where the player can access games. 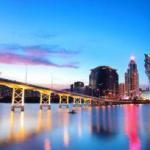 Naturally, advancements have led to the need for casinos that work on iOS and Android operating systems. The features and services of Cosmo Casino are also available on a mobile device. When accessing the casino from a phone or tablet, the player can use the instant browser version that is optimized for mobile. This mobile casino format makes playing at Cosmo Casino extremely convenient, as long as the player has a connection to the internet.